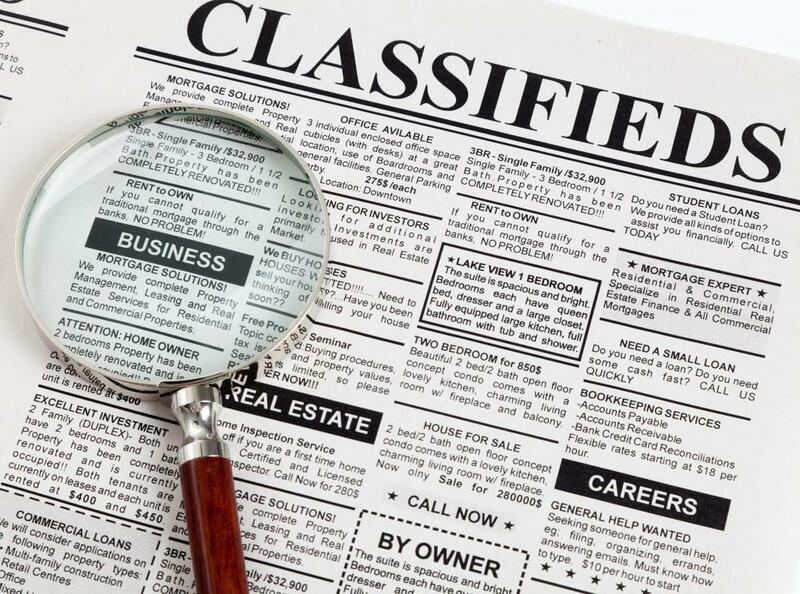 What Should I Consider When Placing a Classified Ad? 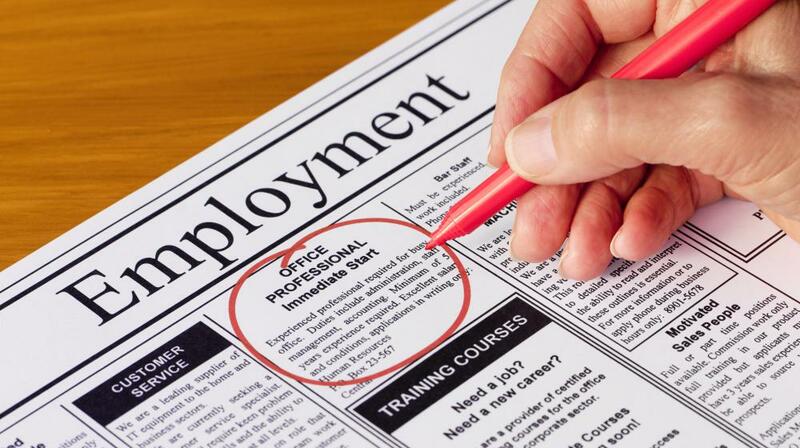 Classified ads may include employment opportunities. Classified ads in a local newspaper could potentially be read by thousands of people. One major advantage a local newspaper has over its media competition is the ability to remain in a subscriber's home long after the first glance. This is why a well-placed classified ad can be so effective. Literally thousands of potential buyers or applicants receive newspapers every day, and a significant percentage of those subscribers read the classified ad section routinely. The same holds true for free shopping magazines distributed in restaurants and other retail outlets. Today's browser can become tomorrow's buyer. But what should you consider before placing a classified ad in your local newspaper or shopping tabloid? One of the most important elements in a classified ad is wording. Newspapers typically charge by the word or line, so brevity and clarity should be your goal. Think about your item or service or job opening from the point of view of a potential customer or applicant. What would be the most essential pieces of information a classified ad could supply? In the case of a used vehicle, for example, you might want to mention the model, the color, the mileage and the asking price. These are most likely the questions a potential buyer would ask, so edit your classified ad copy to include basic descriptive information. Information that might be nice to know but not essential can wait for a face-to-face meeting. Look at existing classified ad copy or work with the newspaper's customer representative to pare down your description. Another consideration is personal contact information. Make sure you are comfortable with publishing your home or work phone number in a public forum. A classified ad can generate a significant amount of legitimate interest, but it can also generate some unwanted attention if you fail to set limits. If you cannot receive phone calls after a certain time, or you would prefer to have callers leave messages on an answering machine, mention this in your classified ad. Even if you sell your item on the first day, the classified ad will often continue to run until you cancel it. If you don't want to continue receiving inquiries, run your classified ad for a minimal time. Many potential customers know precisely which categories of the classified ad sections they'll need to scan, so make sure your ad is properly placed. An unwanted couch may be considered furniture, but it could also be considered a household good. If you have a combination of items to sell, one classified ad under a Miscellaneous section may be appropriate. The most descriptive words about your item should appear first, beginning with the name of the item. Many newspapers arrange classified ads in alphabetical order, so an ad starting with, "Sofa, brown and white, rarely used" will be more noticeable than "Brown and white sofa for sale." Another consideration before placing a classified ad is the price of the item, as well as your allegiance to it. Haggling and counter-offers are often part of the process for private sales. If the price is non-negotiable, use words like "firm" in your classified ad. If you have some flexibility or are willing to haggle, you may want to include the phrase "or best offer" (often abbreviated "OBO") after your initial asking price. This will let callers know that a reasonable offer may be acceptable. If the point of the classified ad is to move unwanted items quickly, indicating flexibility on the price may be a good plan to follow. What is an Agony Column? How can I Plan a Garage Sale? I guess this is not strange for a person of my generation, but I would never have thought of placing a classified ad in a newspaper. My girlfriend's aunt asked me about helping her write up a local newspaper classified ad for a garage sale she is planning. I could do a free online classified ad for her, but she insists that the newspaper is the best way to go for a garage sale. One of the problems with advertising a garage sale when you are paying by the word is that you can't afford to mention many of the items, and there are a lot of items. I used to promote my artwork through online classified ads, but I'm not sure that was an effective use of my time. I didn't get a single sale I can attribute to those ads. I think the free classified ads posted on those sites get buried really quickly under hundreds or thousands of other ads. Before you place a free classified ad on those sites, make sure you're comfortable with paying additional fees to have those ads remain at the top of the page. You may also have to pay an extra premium for images or boldface type. Free doesn't always mean free when it comes to classified ads. Newspapers may charge a significant amount of money for local classified ads, but at least those ads are in a fixed order when they reach the eyes of potential customers. One thing I consider when placing a classified ad is the likelihood my ad will actually be noticed by readers. I know a lot of people will look through the local newspaper's classified section when they need something right away, like a used car or a new TV or a place to live. But I don't really know if a lot of people actually read those free classified ads placed in tabloids placed in businesses around town. Sometimes a local newspaper will allow people to place free classified ads, but what I've found is that those ads are usually limited to the sale of small items under a certain price. I can't advertise my lawn mowing service or promote a line of products I sell. You need to know that your classified ad is acceptable under the publisher's guidelines.